London (CNN Business) Top universities often tout their MBAs as a path to high-paying jobs and a powerful network. But a growing number of students are more interested in learning how to change the world through business. "We were young, ambitious and idealistic," says Katie Leonberger, of her decision 10 years ago to co-found Microlumbia with David Del Ser Bartolome when they were MBA students at Columbia. We knew we "wanted to do well by doing good," Leonberger explains. A decade on, Leonberger is president and chief executive of a nonprofit consulting firm and chair of Microlumbia's board. She says that Microlumbia focused on investing in microfinance organizations at first, but over the years it has extended its investment scope. Jesús Salas, a 28-year-old second-year MBA student at Columbia, is this year's co-president at Microlumbia. He says that Microlumbia's typical investments are $20,000 to $25,000 with an interest rate of 5% to 15%. Current investments include microfinance organizations in Uganda and Zimbabwe. "For some people, myself included, they came to business school with impact investing as a target career," Salas says. In the future he wants to work somewhere that is "very intentional in how they invest." Leonberger sees Microlumbia as "the most rewarding thing" she did at Columbia. "You are in this cauldron of learning at business school, and to have the chance to apply that learning in real time is such an amazing experience," she says. Others are also trying to give business students real-world impact investing experience. Six years ago, the Wharton Social Impact Initiative, part of the University of Pennsylvania's Wharton School, joined forces with Bridges Fund Management to launch a contest for business students. "The first year, students from just three schools — Wharton, Harvard and Stanford — took part," says Nick Ashburn, senior director of impact investing at the Wharton Social Impact Initiative. 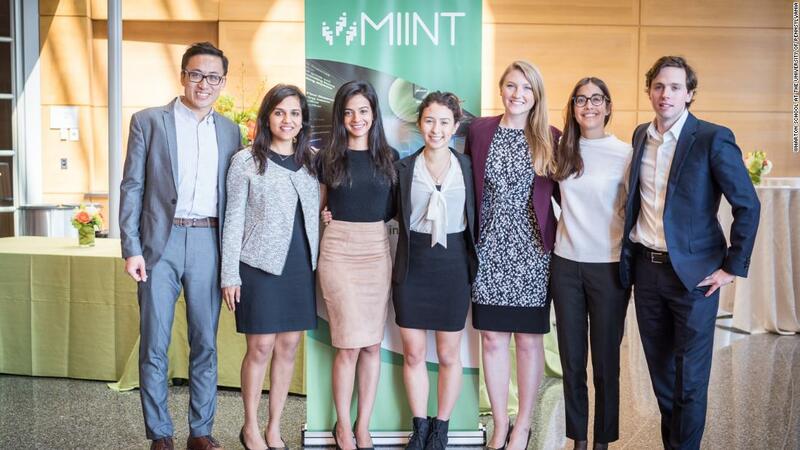 Last year, more than 600 students from 26 schools, including a number outside the United States, took part in the MBA Impact Investing Network & Training competition. Participating students take online modules about impact investing. They also choose a company to invest in, run the numbers, carry out due diligence, and finally, pitch to a team of seasoned impact investment experts. "For the students that win, there are real investment dollars at the end of the process," explains Ashburn. The 2018 winners were students from Yale, who secured a $50,000 investment for their chosen company, StormSensor, a Seattle-based start-up that has created a storm water monitoring system. According to Alex Nicholls, professor of social entrepreneurship at Oxford University's Said Business School, the number of impact investing courses "has grown over the years as young people and senior managers have recognized the impact and finance opportunities of this new market." Oxford has offered an elective impact investing course within its MBA since 2006, and also runs three executive education programs on impact investing. Ashburn says that the growing number of impact investing courses on offer across international business schools is a reflection of student demand. "This generation of students wants to change the world through business," he says. "They want to invest in line with their values, and they want jobs that facilitate that."